Overview: Management and Development for Health (MDH) is a non-profit organization in Tanzania contributing to address public health priorities. MDH works with the Ministry of Health, Community Development, Gender, Elderly and Children; as well as academic and nonacademic institutions to address the problems of Tuberculosis, Malaria, HIV/AIDS, Nutrition, Maternal and Child Health and to undertake initiatives to advance public health research, education, and services for improving the lives of people. In Dar es Salaam, MDH supports the Government of Tanzania through the Municipal councils of Ilala, Temeke, Kinondoni, Ubungo and Kigamboni in implementation of the program on HIV/AIDS Care and Treatment and monitoring of people living with HIV/AIDS (PLWHA). 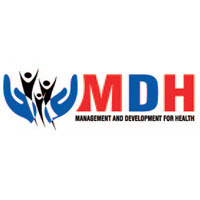 In order to strengthen the care and treatment of PLWHA in Dar es Salaam, MDH seeks to employ ONE laboratory scientist for Temeke Specialized Laboratory. Laboratory scientist is expected to be a self-motivated individual who will be involved on daily laboratory testing activities for HIV drug resistance and viral load, setting and monitoring progress of laboratory program targets towards accreditation. He/She will be responsible to the laboratory Supervisor.  Perform pre-analytical procedures on all specimens received including but limited to inspections, registration, separation, and storage.  Perform testing in molecular biology to determine level of HIV drug resistance and amount of HIV virus. Applications should be submitted by 4th February, 2019 to the CEO through e-mail mdh@mdhtz.org or through P.O. Box 79810 Dar Es Salaam, Tanzania. Please note; only shortlisted candidates will be contacted for interview.